The meet was originally scheduled for 8th September but was postponed due to the strong cold front. 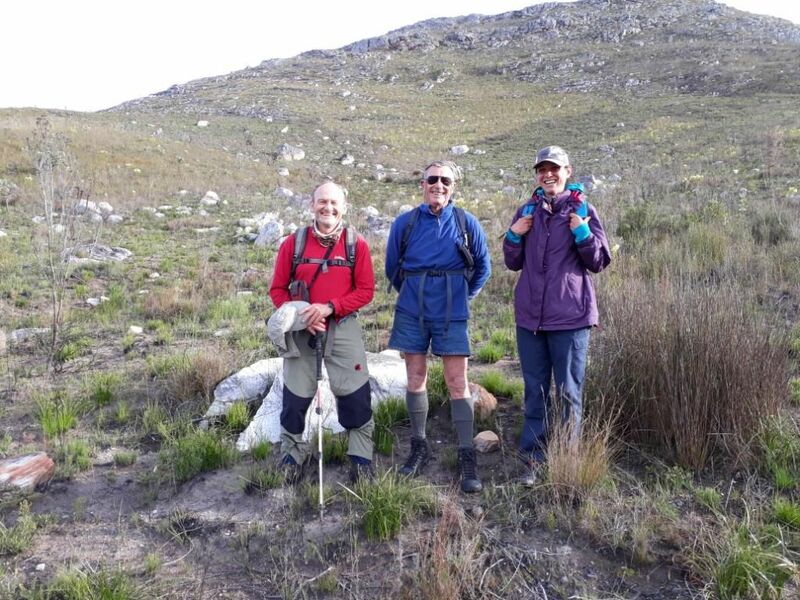 There were only four takers for the tough hike / scramble, Clive Louw, Tony Bowen (photographer), Phillippa Barnard (new member) and Greg Moore, meet leader. The day dawned cold and bright, with a little cloud forecast for later, perfect hiking weather. 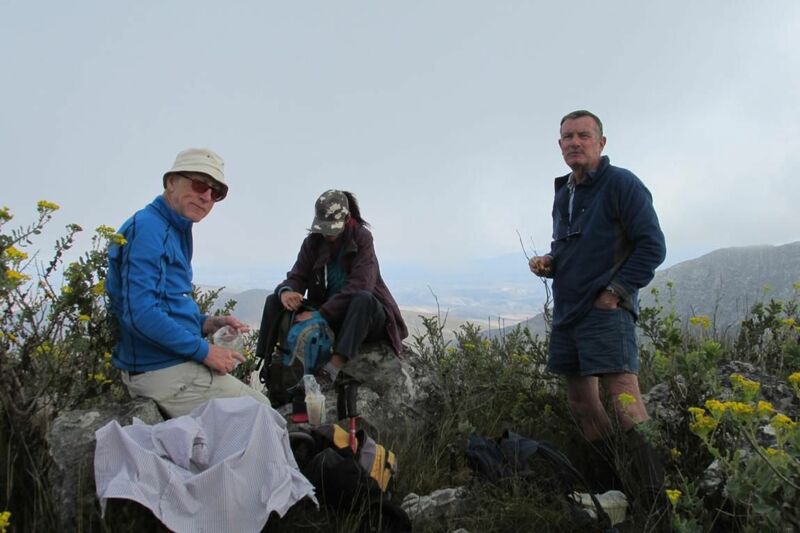 A rather leisurely start was made, hiking commenced at 0830. The area having burnt two years previously ensured that we didn’t have to fight our way through the bush, but there were plenty of sharp, burnt branches to avoid. The going was very steep with no path and lots of scrambling. As we neared the top the cloud came down but didn’t obstruct our fine views of the Attakwas valley. The 580 m climb took two hours and was only 2.25 km long. Breakfast at the top was taken with the cloud sitting just above our heads. There was a possibility of doing a ridge walk from here but having attained the peak and looking at the rugged, difficult ridge, a general lethargy came over us and it was decided to head down in time for lunch. A very satisfying peak with fine views and worth repeating.